In a quiet stillness befitting the place, behind glass panes and surrounded by keepsakes and loving messages, are the final resting places of a small group of San Franciscans lucky enough to remain within the limits of their beloved city. 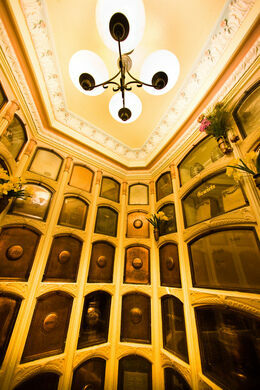 The San Francisco Columbarium (officially, the Neptune Society Columbarium, owned by the Neptune Society of Northern California) is the oldest of five columbaria presently found within the City of San Francisco, and the only one that is non-denominational (the other four are Episcopal). 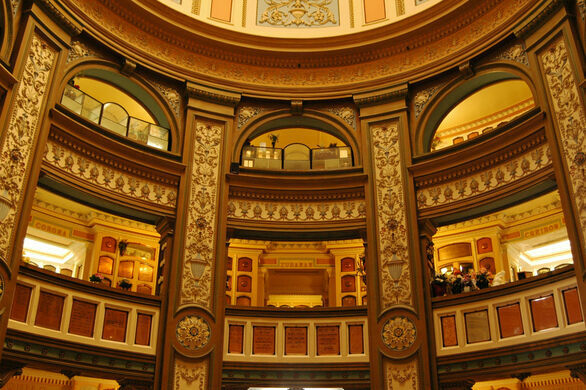 In December 2011, St. Dominic’s Catholic Church on Bush Street announced its plan to establish the Columbarium at St. Dominic’s. Hidden away on a cul de sac in a neighborhood full of mid-20th century pastel houses, the Columbarium is a link to an earlier era in San Francisco history, and a mystery even to most locals. Built in 1897 by Bernard J.S. Cahill and reflecting the Neo-Classical architectural style then predominant in San Francisco, along with a separate crematorium building it was originally part of the 167-acre Odd Fellows Cemetery. It survived a 1901 law that banned further burials within the city limits, but almost did not make it through the development plans of the next few decades. As real estate prices soared in the 1930s, the city mandated all cemetery graves be moved south to Colma, now nicknamed “The City of the Dead.” The Odd Fellows Cemetery that surrounded the Columbarium building was exhumed and moved, leaving only a small piece of property, awkwardly wedged into a residential community. From 1934 to 1979, the beautiful building lay abandoned, looted, vandalized — allegedly the home to bootleggers during Prohibition — and infested with raccoons and pigeons. 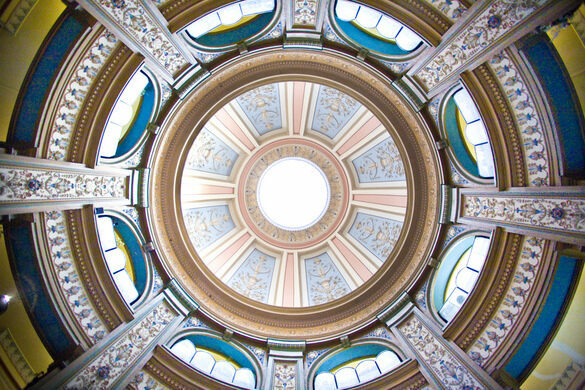 For the last 30 years, the Neptune Society’s Emmitt Watson, the current caretaker and historian, has worked mostly alone to restore the decaying Columbarium to its former glory. 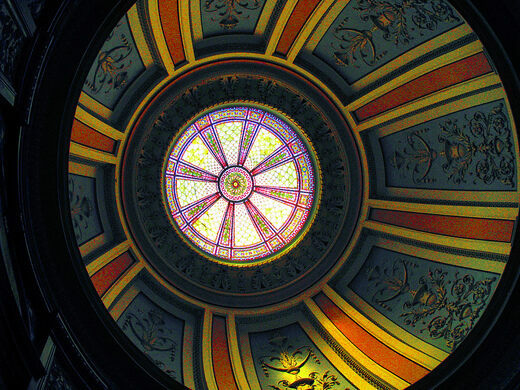 Two artfully raised balconies encircle the building’s light-filled central atrium, which is capped with a beautiful stained glass ceiling dome. Designed as part of the building’s four stories of passageways, the decorated niches for San Francisco citizens of the past tell the city’s history dating back to the 1890s, including the 1906 earthquake (which the building handily survived), Harvey Milk’s assassination, and the staggering number of deaths during the height of the AIDS epidemic. If you’re lucky, Watson will tell you the stories of the people respectfully interred here, and of the building itself. From the Golden Gate Bridge take 19th Avenue, turn right on Anza Street, then right on 15th Avenue, then right on Geary Boulevard. Follow Geary east about 10 blocks and look for parking. From Geary walk to Loraine Court (turn right on Arguello Boulevard, then left on Anza Street). 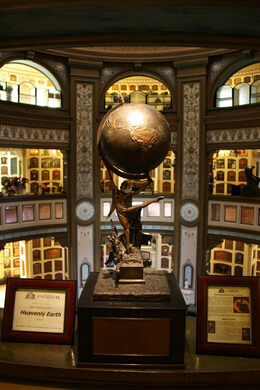 The Columbarium is at the end of Loraine Court. Be respectful of the neighbors and observe all parking rules.